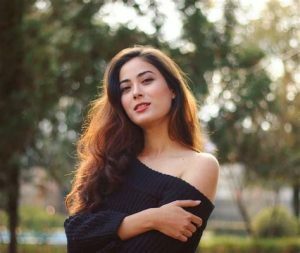 Shrinkhala Khatiwada is a Nepalese model, architect, and beauty queen who crowned Miss Nepal 2018. She also won the Miss Beautiful Hair and Face of Fascino subtitles. She represented her country (Nepal) at the Miss World 2018 competition, where she placed in the Top 12. She won the Miss Multimedia Award and Beauty With a Purpose Award. Born on November 3, 1995 in Hetauda, Nepal, Shrinkhala is from a family with political background. Her parents are Birodh Khatiwada and Munu Sigdel. She has one older brother. She completed her schooling from Hetauda Academy, and high school from Goldengate International College. She studied architecture at the Institute of Engineering, Pulchowk Campus. Shrinkhala was crowned Miss Nepal 2018 on 11 April 2018 at Annapurna Hotel, Kathmandu where 25 candidates competed for the national title by the outgoing Miss Nepal 2017 Nikita Chandak. She is a National Chancellor for the International Association of Educators for World Peace and President of The One Home Foundation. *She was born on November 3, 1995 in Hetauda, Nepal. *Her father is a CPN (UML) leader, and her mother is a President of CPN (UML), Makwanpur District. *She is the winner of Miss Nepal World 2018. *She also won the Miss Beautiful Hair and Face of Fascino subtitles. *She has a Degree in Architecture. *She is fluent in speaking Nepali, English and Hindi. *Her hobbies include writing, reading, travelling and trekking. *She currently resides in Thasikhel, Lalitpur with her parents.